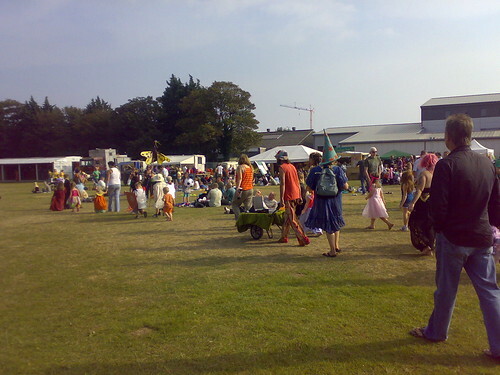 Boscombe Community Fayre Greenfield proposal – Creative Dynamo Ecotainment! Over the years Boscombe Community fair has become more and more music orientated and now it’s time for a change. During this time we have seen the IFSOM arts tent develop into an alternative venue to rival anything the music scene has to offer. BUT with two music stages and 45 PLUS bands the festival is still awash with noise. Drowning out some of the best alternative talent, campaigns and activities on offer. In 2008 we would like to counter-act this by including Healing, Theatre, Kids area, Arena, Site Office, Renewable energy and Recycling in to a Green Field attraction. Last year was the first to use renewable energy on-site and provide power to various community groups. This year there will be more information about renewable energy and climate change PLUS a new marquee / venue for the theatre. The green field will be an important development for BCF given its social and environmental objectives. The green field will also widen the festivals appeal to families, new audiences and the local media. Thanks to the success of BCF there are now too many similar local festivals but developing a green area, like this one, will once again establish BCF as a ‘first of it’s kind’. Please contact us if you would like to get involved with the green field at this years festival. We want to work with individuals and groups locally to showcase the best that Boscombe has to offer. The green field requires workshops, healers, entertainers, stalls, campaigns and absolutely anything else with a green feel to it. For instance I have heard of a student project that incorporated wave power into the legs of Boscombe Pier! Or perhaps you have your own ideas about how to clean-up the environment and inspire local people. I’m glad I found this Blog and that you are greening up your event. Is there an “official” website for 2008 yet? 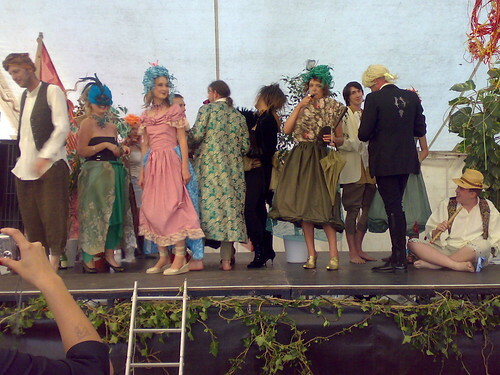 I would like more complete details to add to our Green Futures Festivals Event Diary. May I also have some contact details? Hi, ive been aware of this proposal for a while now…. and ‘in-part’ i feel it is a great idea… there would be much to be gained by having a ‘green field’… essenetially it would bring further grass roots focus of enviromental issues such as recycling, sustainability etc… and push foward ideas on a common-ground level that, alas, Bournemouth Council fails to do…. It is… of course. [like anything ‘new’] going to cause politics…. perhaps the way the initial statement was drafted could have been worded a little less on a stance of ‘subtle’ critisism… however sometimes when we feel passionate about something [such as this] it can seem somewhat confrontational… but im sure this is not the overall aim…. the overall aim being to make the fair better…. Ooh I’m comming down to this to see Larry Pickleman play….anyone know of any good camping places near by?